Unfortunately, Telenor is not allowing the users to view the PUK code through online.If you want to generate PUK for Telenor , follow any one below method. Remeber that PUK code cannot be generated by any downloaded software. 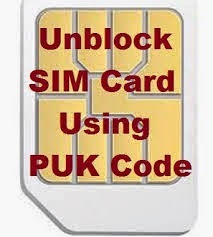 So be aware to avoid unnecessary blocking of your SIM card because of incorrect PUK code attempts. Example : 0421xxx45100 to 346. Every corporate organization is moving towards simplifying the process using technology. In future , Telenor may provide online option to retrieve PUK code. Go on .Speak with the customer care person, Get your PUK code.